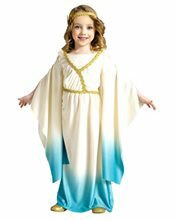 Greek Goddess Toddler Costume.Includes: Gown and headpiece. 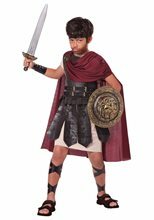 Available Size: Toddler - Small (24 Months - 2T), Toddler - Large (3T-4T). 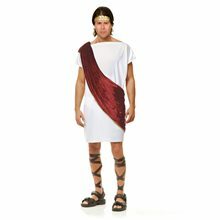 (See Size Chart For More Information) *Stockings, Sandals and Accessories Sold Separately. 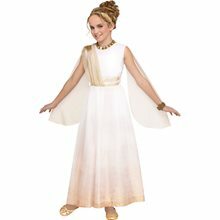 Features Greek Goddess gown and headpiece. 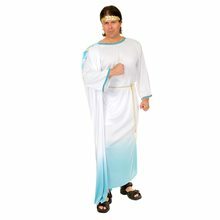 Costume does not include stockings or sandals shown.